BigRentz today announced that it has established a new Guinness World Record for the longest pallet forklift relay. To break the record, four employees were required to drive four forklifts 100 yards, and then pass a pallet to another forklift 62 times without pausing or letting the pallet touch the ground. It took the four employees more than two hours to complete the maneuver. BigRentz broke the Guinness World Record as part of a fundraiser for Susan G. Komen Orange County. 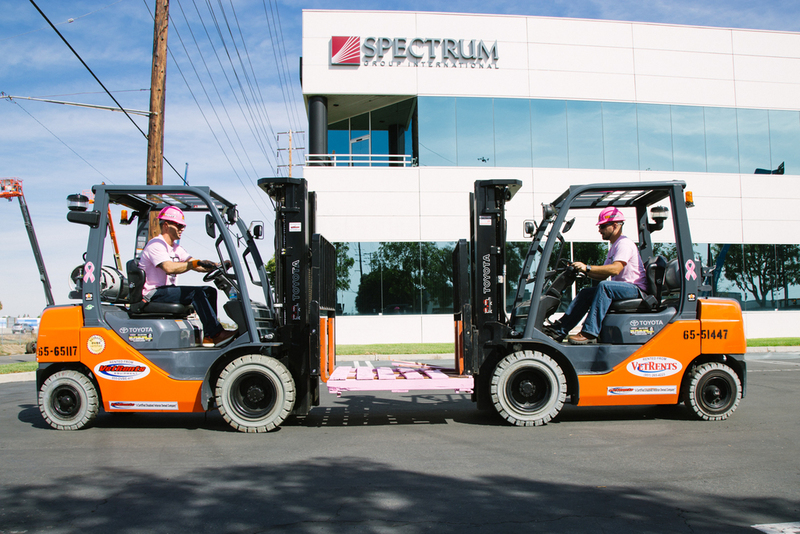 The pallet passed between the forklifts was painted pink and signed by contributors.